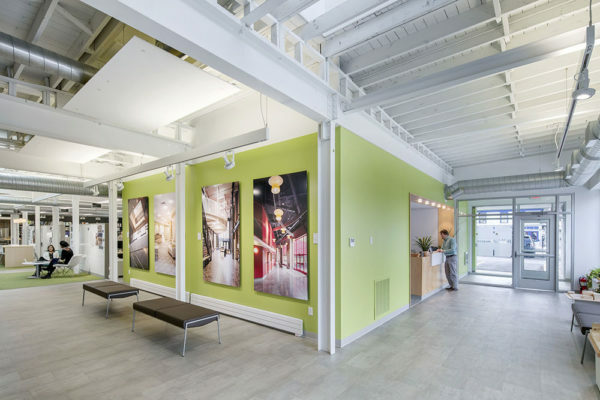 HOLT Architects transformed a dated, 7,600sf commercial property into their own high-performance, net-zero-energy design studio. 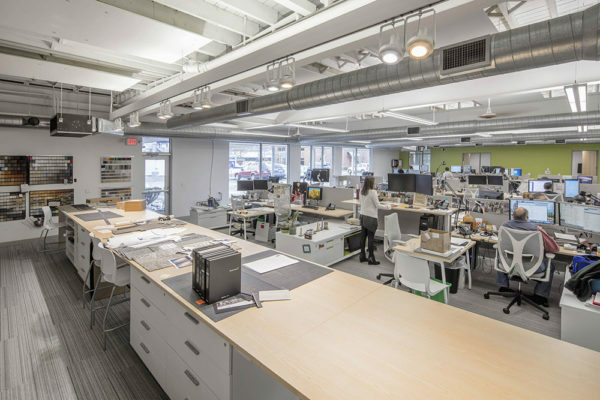 The complete renovation of 619 West State Street creates an environment that supports and inspires HOLT’s culture and their work. At the heart of the new facility is an open design studio equipped with virtual presentation and communication tools, and surrounded by break-out spaces for collaboration, thinking, and doing. Designer workstations are height-adjustable to promote healthy movement, foster impromptu interactions, and allow for face-to-face engagement among team members. Significant improvements to the thermal envelope minimize the building’s energy loss. Natural lighting, a high-efficiency electric-only mechanical system, and robust lighting and plug-load controls drastically reduce energy use. Rooftop photovoltaic panels produce the energy required to sustain HOLT’s design studio within. Watch video tour of HOLT’s design studio, “An Implementation of Beliefs”.